Onbashira (御柱) is a festival held every six years in the Lake Suwa area of Nagano, Japan. 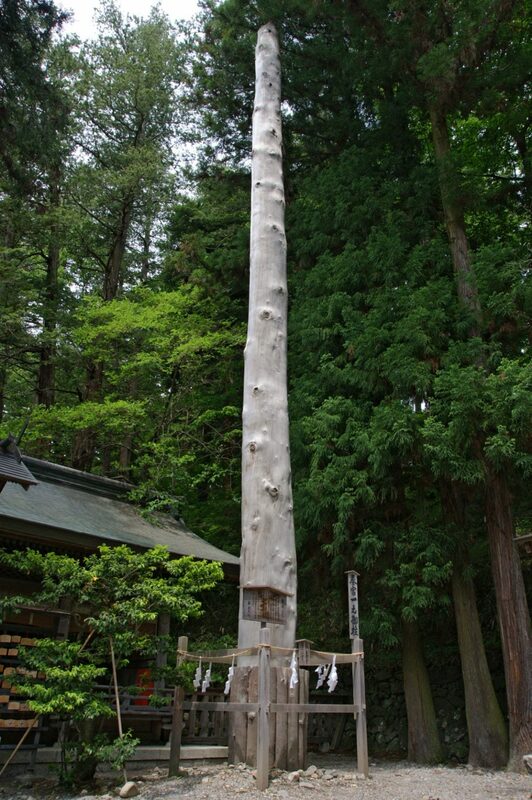 The purpose of the festival is to symbolically renew the Suwa Taisha or Suwa Grand Shrine. “Onbashira” can be literally translated as “the honored pillars”. The Onbashira festival is reputed to have continued, uninterrupted, for 1200 years.